If you've ever had the good fortune to travel by car along the Pacific coast, then you know that just around every bend is another breathtaking view! This is where ocean waves crash against rock, chiseling away the shoreline with a mighty force, even on the calmest of days. It's a feast for your senses: the unmistakable smell of salty sea air, the deafening roar of rushing water, panoramic views of the verdant hillsides below! 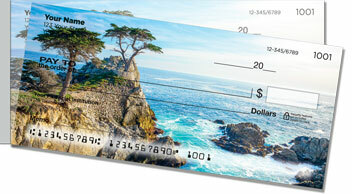 Now you can put the power of Big Sur in your pocketbook with Scenic Coastline Side Tear Checks from CheckAdvantage. They're stunningly beautiful, plus convenient, too! 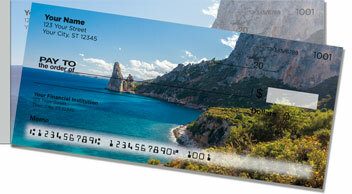 The short line of perforation makes it easy to separate your finished checks cleanly from the pad. 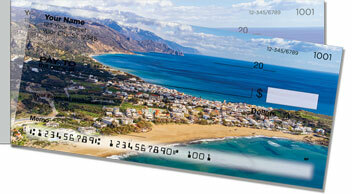 That means fewer accidental rips and fewer voided checks. Just good sound value all the way around! 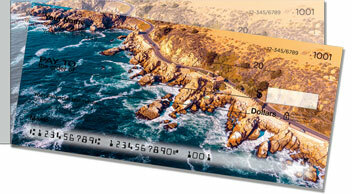 Don't delay -- make our Scenic Coastline Side Tear Checks yours today! And don't forget to complete your order with a set of matching address labels. Order now!